I am very much a night owl - I seem to get a second wind around 10.30pm and can be super productive (and super annoying my husband would say) till around 1am - then like a light bulb I am out. Don’t try and wake me before 6.45am. I may function well on 5-6hrs of sleep but certainly don’t do ANYTHING before 6.45am. Lots of you may be me in reverse, rising with lark at 5.30am, working out, dressing and getting to work before I even open my eyes! Everyone's unique routine highlight how different we all are. Decide when you can get child free time and try to build it into your routine. Use this time wisely, maybe it’s laundry (we all know I am obsessed with that!) or house admin or emails. This should free up some time for yourself in the normal hours of the day. Use that time for YOU! This applies to both yourself and your children. First You! Don’t book things work and leisure for times that will stress you out to be there, you won’t enjoy it so why agree to it? Small people are capable (ok, maybe children over 3). I give my children house hold jobs all the time, such as bringing down laundry, taking up ironing, removing bed sheets and tidying their rooms. By involving them they learn to appreciate you and the surroundings they have! Break it down, change one bed a day, tidy one drawer. Tackle all the smaller jobs - they all add up and before you know it - Boom! - your living room is tidy! Sleep well, drink water, let your hair down, exercise and laugh! You can’t pour from an empty cup. If this blog resonated with you might also enjoy these quick and effective 10 minute Pilates workouts that are easy to sneak in on busy days. Daily10 Abs and Arms - Tone that midsection and sculpt those arms. If you want to feel better and look better in your body, plus rehabilitate and avoid injury, then it’s time to think of movement in a different way. Many of us sit far too much; some of us sit all day at work, then in the evenings and at the weekend run for miles or do multiple exercise classes. Its one extreme to another! The key to moving well and feeling good is having a flexible body and the magic ingredient for that is the connective tissue ‘fascia’ it covers all our muscles, bones and organs connecting everything in your body. This makes movement a whole body thing which doesn’t stop at the end of a muscle; for example the ankle connects to the calf to knee to the hip to spine. If you sit down a lot, your body will adapt to this. Some muscles will become tighter, weaker, some will become shorter, some longer. The connective tissue will also adapt because we are designed to move! Your nervous system responds and adapts to whatever it is that you do on a regular daily basis whenever this is good or bad. It will adapt so that you can survive. Holding poor static positions for long periods of time places huge stress on the body. 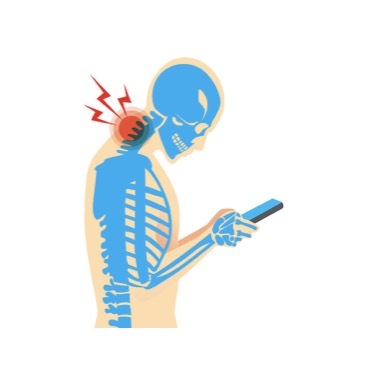 I commonly see clients with neck pain caused by spending long periods of time looking down at their phones or laptops sat at a desk all day. Their head position has shifted forward so the body thickens and tightens the tissues at the base of the neck to support this ‘poor’ head posture. Long term this is likely to result in reduced range of movement and become uncomfortable and impact on the way you look through your posture. We can make some modifications to our working postures but cant all stop working and change our job. Well, movement is good, but because your body has adapted to whatever you have been doing simple performing movements and exercises that don’t address the alignment and flexibility of the connective tissue and muscles will simple reinforce bad posture. So is the answer PILATES? Yes! Pilates is intelligent movement - every exercise has thought behind it; connecting your breathe to your body, learning and feeling more about how your body moves. We all need to move, but first we need to free up the restrictions we have developed by not moving very much. Find these areas, and gently get them moving, and repeat these movements so that the body adapts. Keep moving them so that the nervous system understands that you want to move them. So when we do move more, we move well, we avoid injury, and we feel good. And once you have started working on your restricted areas, once you move a little better, then you will feel AND look Great! PELVIC STABILITY… What is it? and How can I achieve it? The Pelvis can tilt, drop and rotate and this can have a huge impact on your movements and posture. Changes in pelvic posture can be the cause of knee, back and hip pain. Pelvic movement issues are often due to weak core muscles, weak glutes and tight hip flexors — likely from sitting all day or after having a baby! 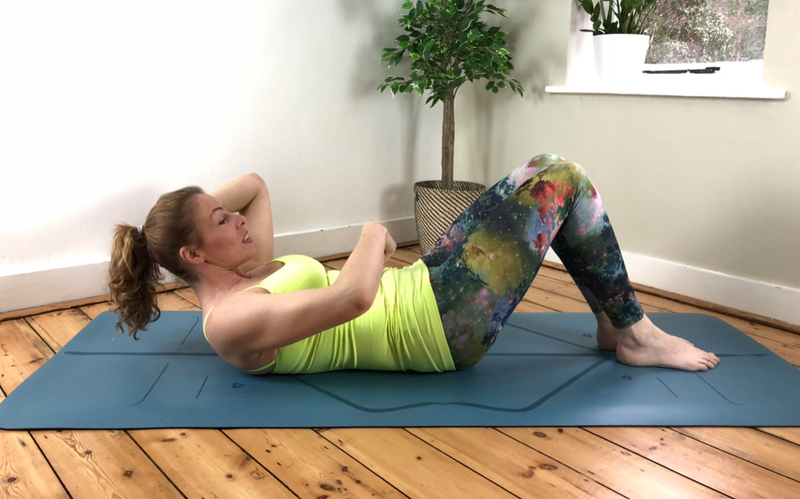 Spending time strengthening these muscles, as well as learning to properly recruit them during activity is the best way to stabilise your core. What about the Pelvic Floor? Is it the missing link? Never underestimate the Pelvic floor it has the capacity to work with the inner deep core muscles to turn on and stabilise the body before you even take a step. These deep core muscles are meant to work together rather than in isolation, as you might use them in doing ‘kegels’ or certain ab exercises. So what is the answer to Pelvic stability? It starts with breathing. When you inhale using your diaphragm (allowing your rib cage to open to the sides and belly to expand) your pelvic floor and core muscles lengthen. When you exhale, your pelvic floor and core muscles recoil. This generates deep tension in your torso—good tension that anchors your core and creates stability when you run. RELAX. Many women will try to grip their abs or hold their pelvic-floor muscles tight during running or other exercise, but this limits your ability to use these muscles effectively, and this can also lead to dysfunction. Pilates helps to stabilise the pelvic joints, it encourages you to safely strengthen your pelvic floor and deep core abdominals in natural relationship giving you the core foundation strength it needs to build up every other part of your body. I offer a Pelvic Floor program to safely strengthen and learn to engage the pelvic floor through a progressive series. Also do check out my Run Specific classes to be sure to strengthen and stabilise the whole pelvis. Relax - to make or become less tense and anxious. Simply “chill out”, easy right? Or is it? I asked members of the Pilates by Georgia Community how do they ‘Relax?’ I was intrigued as to what comments and ideas they had. They ranged from hot baths, nature walks, wine, painting, knitting and going to bed with a good book! Sometimes when we’re exhausted, tense and anxious we gravitate toward activities that drain us even more. Or we cant find the time to take a break, so we ignore our body’s whispers for rest. The result is so often illness or burn out. I am a victim of ‘overdoing it’ ‘pushing myself too hard’ so often I go away for a ‘relaxing holiday’ and end up feeling ill or sleeping. But is there an Art to Relaxation? Here are my 'Top 5 Alternative Ways To Relax' (and yes, one of them is Pilates!). Get clear on what you need to do. It’s hard to unwind when our thoughts keep returning to our endless to-do lists. I know my life is often ruled by brightly coloured ‘post it’ notes of reminders of jobs I need to do. Get clear by sitting down for a few moments, making a list of what can be done today and in what order and then let the rest go until the next day. Identify what you can and can’t control. In my busy life I often feel stressed and overwhelmed. I try to think about what I’m concerned about then ask myself if I have any control over it. If the answer is no – and it often is – I let it go. If the answer is yes, then I do what I can and move on. Participate in gentle movement it can be a wonderfully organic way of connecting with your breath and releasing any pent up energy you may be carrying. We often wrongly think that unwinding means being sedentary but actual unwinding often comes from doing something active and releasing the stress and anxiety that we may have built up over the week. 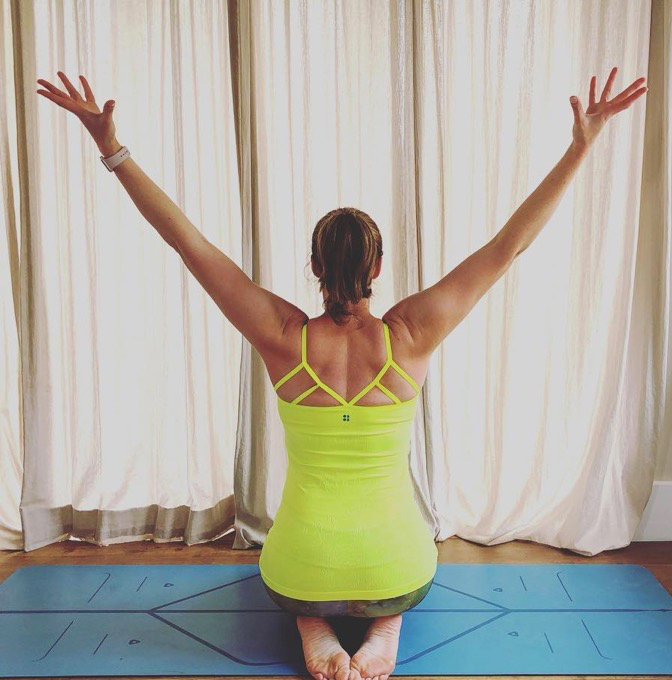 My Relaxing Flow class is designed to help you slow down, unwind and connect with your breath. Spend time doing things for yourself, this might be anything from enjoying breakfast in bed to going out for lunch or a sneaky internet shopping binge. Treating yourself well, means you will be much better for everyone else in your life. We are all individuals, simple trial and error will help you find the best strategies for you. Just remember not to judge yourself for whatever you choose, there is no right or wrong. Own it, Use it and Unwind. Run from the Core? How does Pilates help? Running is a repetitive activity so every time we run we overuse some muscles and underuse others this leads to imbalances in the body and ultimately injury. 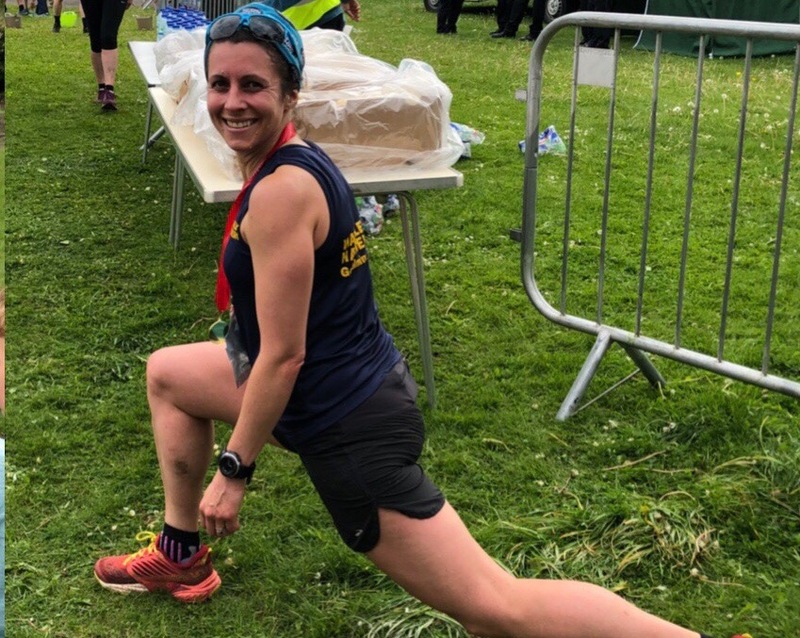 You may find certain areas of your body feel more strained easily, increasing your core strength and joint stability will mean towards the end of your runs the smaller muscles will not have fatigued and will be able to continue to support you. Pilates addresses imbalances and helps to stimulate the smaller muscles. Meet some Pilates by Georgia members and learn how my classes have helped them! Dawn has completed many Ultra Marathons both pre and post baby - she recently completed ‘The Race to the King’. Here is her story. 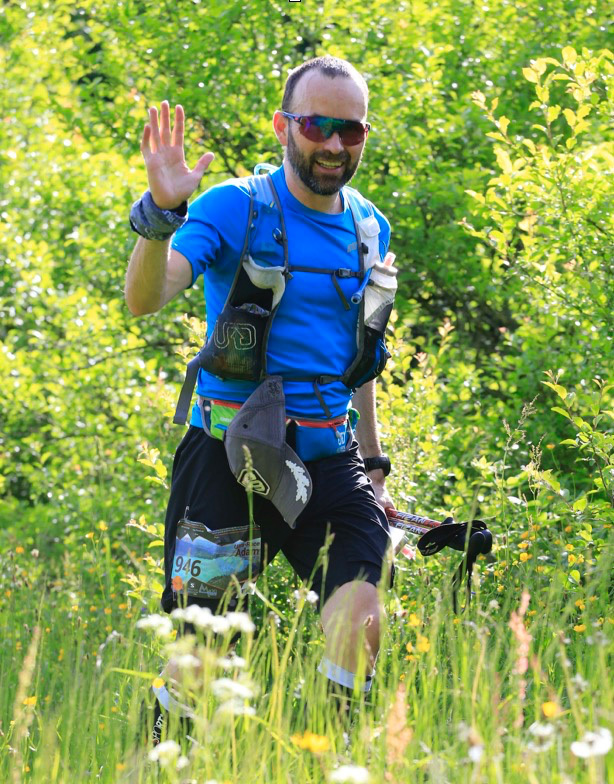 "Day 1 was 23.4 miles, day 2 was 30.2, so that’s the first ultra I’ve done since my boys were born! My total time was 9hrs 36 mins, although it didn’t feel that long. I even placed 3rd woman in the weekender category! It was so beautiful, the views were incredible along the downs, I just absolutely loved it! 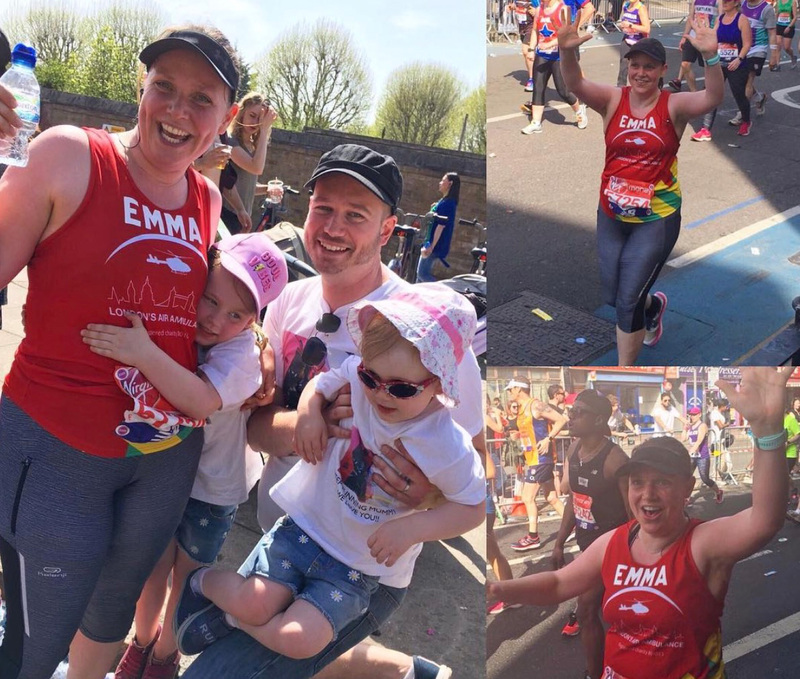 On the first day I was powering along at mile 14 thinking 'this can’t be right I feel so good', then I just kept ticking off the miles until I’d finished (I walked all the REALLY steep hills). Day 2 started at 6am! (my main concern for the day was waking the boys up at 5.30!) but they loved it, eating jam toast in their pjs in the car. 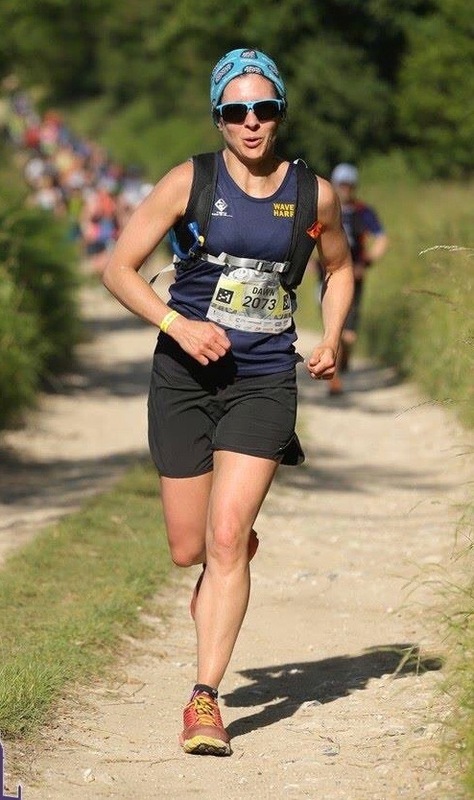 I honestly put part of my achievement down to your Pilates classes, because I feel stronger now than I have ever done, in previous races (pre babies) I did all the running training but lacked in the strength work, i found my back and abs really ached after long races but this is genuinely the best I have felt after an ultra. Yes I have sore legs, but other than that I’m feeling fine, just very, very hungry!" My sport is ultra running. Experience is key and I have learnt the hard way with an overuse injury in groin and IT band areas few years back. Finding Pilates and working this into my training plan (2 weekly classes), I have prevented a relapse and now have completed two ultras this year with the big 100 miler round the corner. The injuries are never far away without a continual strengthening and mobility programme which, without a doubt, Pilates brings. I have been doing Pilates for years and I knew when I took on the marathon that I would need to be doing more Pilates if I wanted to stay injury free and to function normally in between training runs. Your videos are the best I have found for that by far. They were recommended on one of my Facebook marathon training forums and have been perfect for fitting in around my training. The variety in both time and intensity of the videos is great as I can fit something in even when I don’t much feel up to it and I ALWAYS feel better afterwards. It was such an amazing day. I finished in 5:59:03 (I found my sprint finish at the end!). Its not what you lose its what you gain! Our body is a system of levers and pulleys. We function through balance for example in order for one part to lift, another has to lower. If one muscle contracts, the opposing muscle has to lengthen and release. Pilates develops this work-release system – Our brain won’t let go and relax a muscle, unless it senses the opposing muscle is supporting the body structure. Stability - Pilates calls for co-ordinated and controlled joint movements. Focusing on the smaller muscles who stabilise the joints throughout movement patterns. Pilates creates good posture, spinal alignment and stable joints all of which build a strong foundation for you to safely work against resistance, lift heavier weights and strengthen your body. So stop thinking about exercise being a punishment with the goal being losing weight and inches and start treating yourself to some Pilates mat time, strengthen your mind and body - build a healthier association with exercise and the pounds (lbs) will take care of themselves! The Rectus abdominis are your long vertical tummy muscles (the "six-pack muscles") and in pregnancy, as your uterus expands it stretches your abdominals to accommodate your growing baby. Pregnancy hormones also cause your bodies connective tissue (linea alba) to relax allowing the muscles to pull apart and separate down the middle. Recent evidence suggests nearly 100% of pregnant women have some level of abdominal diastasis by their 3rd Trimester. 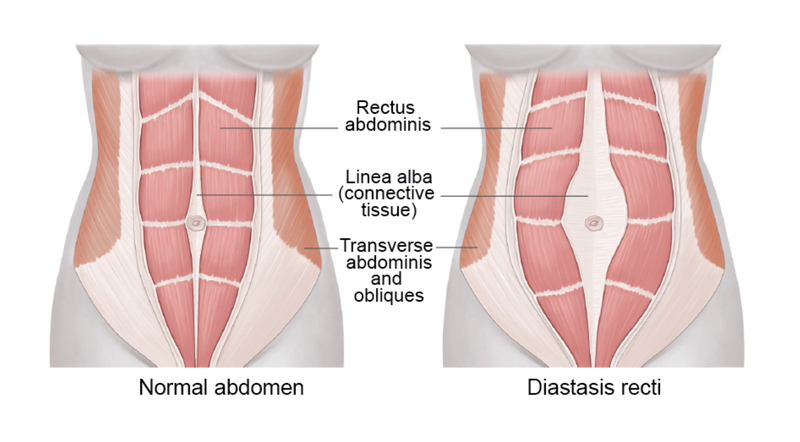 It is more common in second or subsequent pregnancies and is not exclusive to women - men can suffer from diastasis too! You may notice a ‘doming' of the tummy when getting up from lying or sitting forward from a reclined position. This is the two sides of the separation straining to perform the movement. As the muscles are not connected through the centre they rest apart and this may appear as though you are still pregnant - the permanent ‘mum-tum'. You may not see any evidence of a gap but may instead feel unstable in the pelvis and perhaps you are suffering from lower back pain? How can i check if I have one? Lift your head and neck just slightly off the floor while you press down with your fingers. If there is a gap, that is the diastasis. Conduct the same test just above your belly button and just below the belly button, as the gap can measure differently in these places. How can I prevent getting a Diastasis Recti? Put simply you can't prevent it when pregnant but you can manage it and minimise the size of the separation. Be careful to avoid adding external abdominal strain by heavy lifting, twisting and doing crunches. My story - did I have a Diastasis Recti? After 3 children in 3.5 years, my abdominals stood little chance of not separating. Each pregnancy was different, but I did have 3 equally big babies (10lbs!). After my first baby, my tummy muscles had split what felt like miles apart. I could put my fist between them and felt very little regards tone around the edges. It was a huge wake-up call for me, a Chartered Physiotherapist who had spent years telling postnatal mothers how to care for their bodies both during and after pregnancy. So I put my trust in my Pilates methods. At first I could not really feel the muscles I was supposed to be working, it all felt numb and soft. But I perservered. Slowly I started to feel more, I was able to move more and my pelvic floor sprang back into action (phew!). Fast forward two more babies and lots of Pilates and I am now here, a small gap less than a finger's width, my abs are strong and I feel confident enough in my pelvic floor to run and bounce about. So don't stress about ‘the gap', work on how you feel, build your strength and your confidence will follow. You will get there, you'll love your amazing body for what it gave you, in my case 3 gorgeous children and for that I am eternally grateful. Should I be stretching before I run? There really is no evidence to show that pre-run stretches reduce the risk of injury and some studies agree it reduces performance. Even though it is deemed not necessary if it feels good by all means keep going! But what sort of stretches are best? Evidence would support a good warm up, jogging or doing dynamic stretches. Dynamic stretches involve stretching through a range of movements not holding static positions. Watch the accompanying classes for my ideas on good pre-run dynamic stretches. After strenuous exercise or running your muscles will have some typical harmless micro-tears which heal in recovery over time and that is what makes you stronger. Long held static stretches could be increasing these micro tears pulling them further apart and that makes you sorer and therefore your recovery longer! Feeling sore after is more likely due to inadequate warm up or simply pushing yourself hard. Try to slow down or incorporate a walk at the end of your run - allow your body to reduce speed, if you have time lie down to relax, open and close the joints ‘gently'non-aggressive pumping of the joints can facilitate flushing in new blood and increase circulation which in turn improves the movement of lactic acids and waste products - therefore facilitating faster healing! So when does stretching help? A short tight muscle is much weaker than when it is extended so the risk of further injuries reduces with well-maintained flexibility. Post-Run Stretch 1 and Post-Run Stretch 2 are specialised stretch classes and are a perfect blend of the above. I am injured - should I stretch before a run? Injury prone people - tend to have a stiffness of joints or chronic muscular tightness and regular stretching will help. I suggest an active and dynamic warm up, there is no evidence to prove long-held static stretches reduce the risk of re-injury. Try some lunges, heel lifts, and high knees before you run, increase your speed gently, pace yourself well. Running is a repetitive activity so every time we overuse some muscles and underuse others this leads to imbalances in the body and ultimately injury. Pilates addresses imbalances and helps to stimulate the smaller muscles!